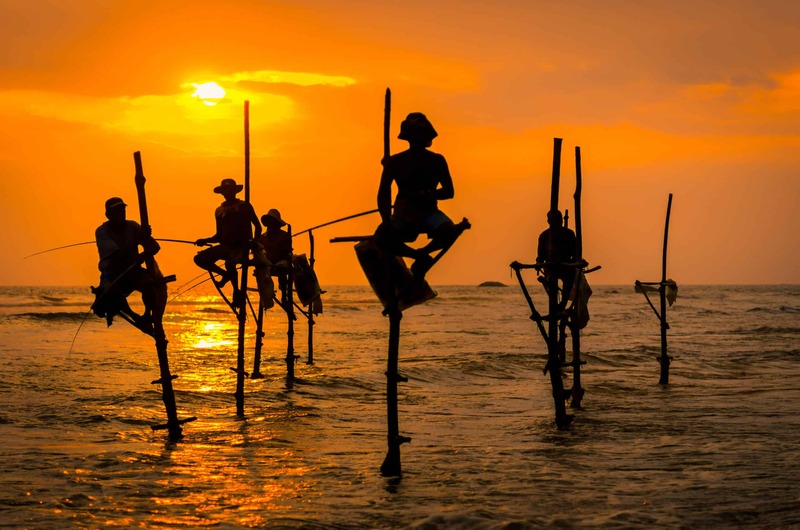 A truly luxurious, cultural tour of one of the most newly popular destinations in the world – Sri Lanka. 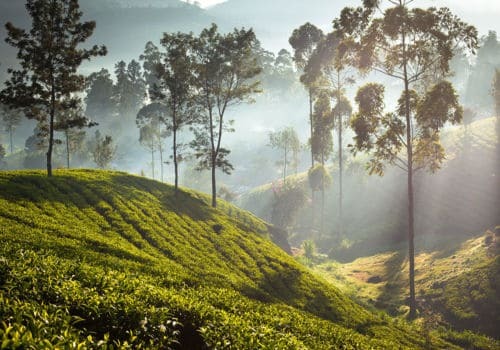 Experience the awesome power of nature combined with the spirituality and cultural breadth of this beautiful country as you travel from place to place, taking in national parks, ancient kingdoms and civilisations, elephant sanctuaries, sprawling tea fields, mountainous landscapes, elegant temples and much more. This tour is perfect for those who want to see the most of any country they visit and to soak up as much of the local culture, history and experiences as they can. Today you will arrive into Colombo where you will receive VIP arrival service, being privately escorted off the plane to the silk route lounge to enjoy refreshments and relax whilst your baggage makes its way through customs for you. Your personal English-speaking chauffeur will meet at the lounge and will drive you from Colombo to Kotugoda where you will check-in at your first five-star hotel, The Wallawwa. You will have the same private driver all the way through your journey around Sri Lanka, taking you from place to place and more than happy to show you things along the way. Today you’ll visit the lovely Millennium Elephant Foundation – a sanctuary for these big, beautiful, gentle creatures that doesn’t offer elephant riding for ethical reasons. Instead, you get to have a truly special experience walking the elephants around the sanctuary and down to the river where you will be able to bathe them, all the while learning all about the Asian Elephant and the foundation. This is a truly immersive, once-in-a-lifetime experience for any animal lovers. From here, you’ll then be driven to your next five-star hotel, The Water Garden Sigiriya. Today you’ll discover the Dambulla Cave Temple complex – the largest and best-preserved cave temple complex in Sri Lanka. They have been a sacred pilgrimage site for 22 centuries and many people have come here to pay their respects and pray to Gautama Buddha. The cave paintings and statues make the complex fascinatingly beautiful and only add to their history. 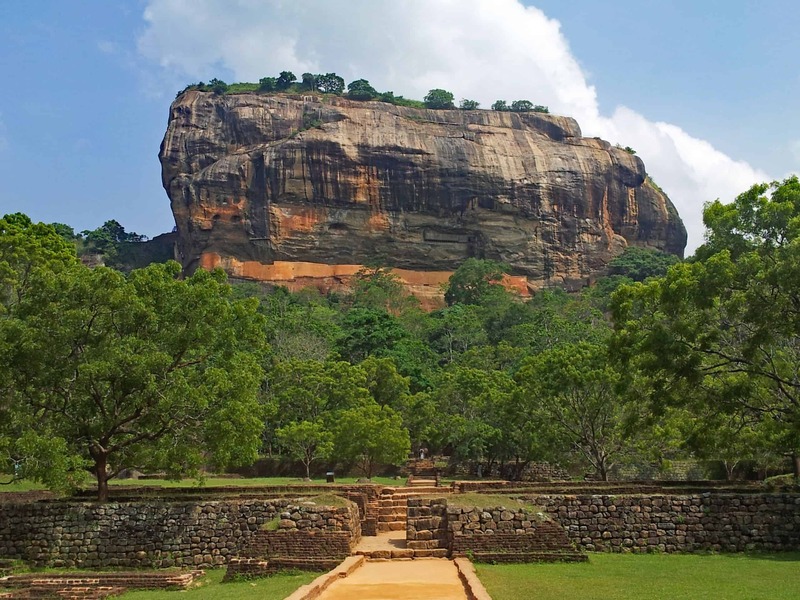 Before the arrival of Buddhism, these caves were inhabited by pre-historic Sri Lankans, known by the findings of burial sites around 2700 years old in the area. From here you’ll be driven to the Minneriya National Park where you’ll be able to enjoy a game drive around the park, studying the gathering of hundreds of Elephants to the Minneriya reservoir each year between June and August. This is one of the best Elephant migrations to witness in the world! 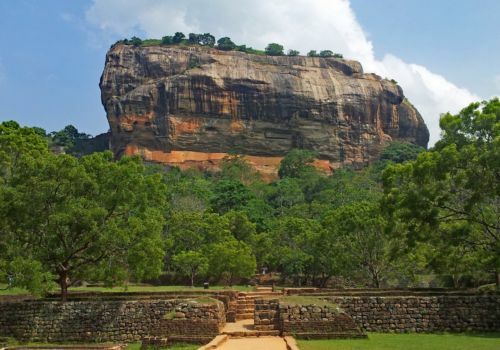 Today you will tackle the Sigiriya Rock Fortress – this UNESCO World Heritage Site draws visitors from far and wide to climb up to the ruins of the capital built by King Kassapa I. This humongous piece of granite rock stands 200 metres tall with the ruins of the king’s palace found right at the summit. Once you reach the top, you are greeted by these mystical ruins of a time gone by, as well as by some of the most incredible views of the surrounding jungles. From here, you’ll head to Anuradhapura, the former capital of Sri Lanka and another UNESCO World Heritage Site. You’ll cycle through the backroads with your tour guide who will show you all the secret and hidden spots of this ancient kingdom that the other tourists don’t get to see. Anuradhapura is a huge complex containing some of the most awe-inspiring temples, ancient pools, ancient dagobas and more. 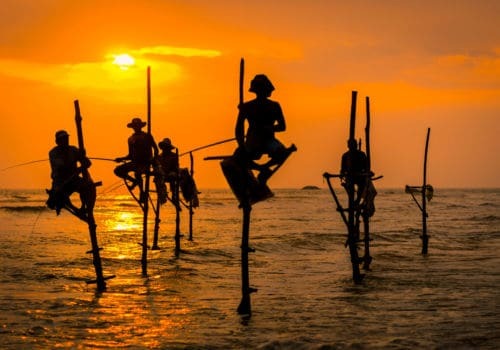 This is one of the most cultural places to visit in Sri Lanka. Today you will be driven to Matale where you will enjoy a Spice Garden experience, seeing how many spices are produced in the country as well as how they are made and collected. Walk through the gardens witnessing the harvesting of cinnamon, pepper, cloves and nutmeg. Also, see how cardamom is harvested from the trees by hand and then buy spices right from the source. From here you’ll continue onto Kandy where you’ll visit the famous Temple of the Tooth in the royal palace complex of the former Kingdom of Kandy. 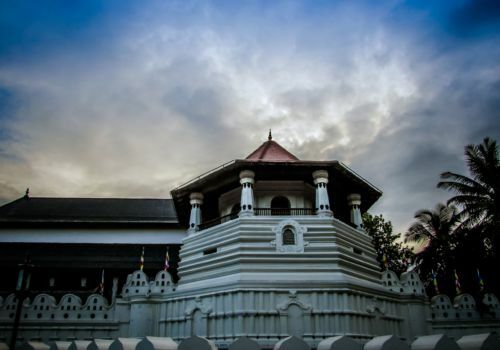 This temple holds a relic of Buddha which has played a huge role in the country’s politics, believing whoever is in possession of the relic holds the governance of Sri Lanka. The temple is ornately decorated with statues and beautiful paintings everywhere and has contributed to Kandy being made a UNESCO World Heritage Site. Today you will board the local vintage train on the way to Hatton. This train used to be used by the British during the Colonisation of Sri Lanka in the late 1800’s. You will have seats pre-booked for you to allow for maximum comfort and the best seats for viewing the stunning ride past the forests, villages, waterfalls and tea estates. Once you’ve arrived you will check in to the world’s first tea bungalow resort – the five-star Ceylon Tea Trails. These elegant, boutique villas are all individual and look out over the World Heritage Central Highlands. The breathtaking views of the mountains and tea fields are the most beautiful things to wake up to every day and you’ll be offered a free tour of the estate to see it all in more detail, plus a tea tasting session. 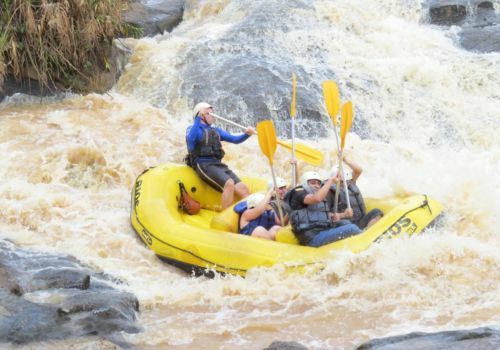 Today you’ll be driven to Kitulgala where you’ll enjoy a whitewater rafting adventure down the Kelani River. This winding river, which runs off the slopes of Adam’s Peak, runs through the Hill Country of Sri Lanka before meeting with the Indian Ocean. You’ll be fully briefed by professionals and taken down the river rapids for an exhilarating experience. Today you’ll be driven from Hatton to Colombo where you’ll have a couple of days to relax before you head home.